As in our last post, we informed our community about the Bitmart voting competition where we asked for your support. 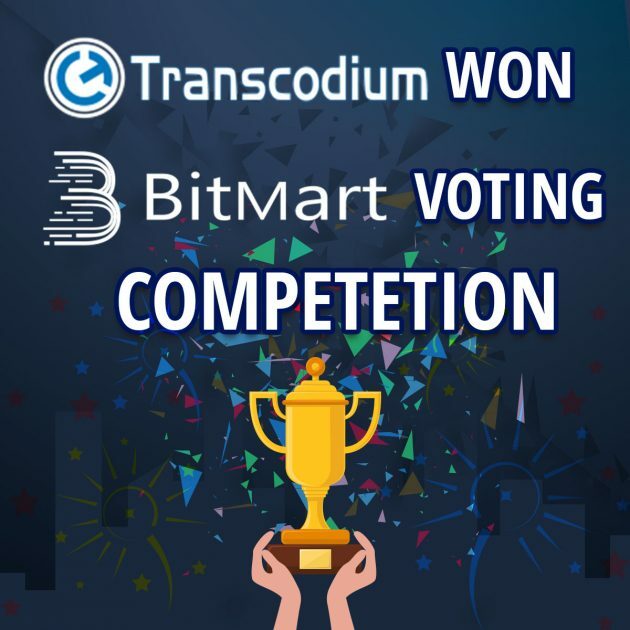 We thank you, everyone, who supported us in this competition, Bitmart has officially confirmed the result of voting, declaring Transcodium as the winner. As mentioned in the announcement Bitmart will be listing Transcodium and will declare the dates soon. Bitmart has a daily average volume of 120 Million Dollars and has a reputable name in the market. Transcodium’s community has proven that they are strong and they are together no matter what, this shows there is a great future ahead.